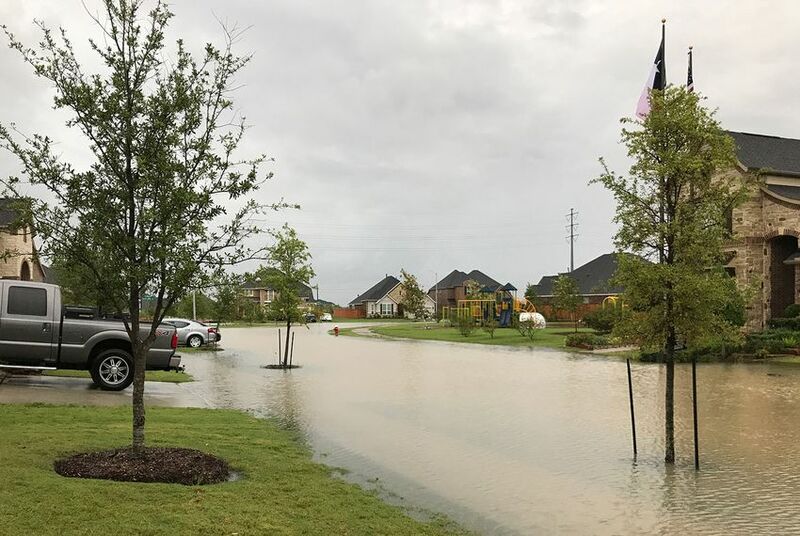 Stephanie Goodman, the Texas Department of Insurance’s deputy commissioner for public affairs, talks about what policyholders need to know about filing property damage claims before a new insurance law takes effect Friday. Amid the devastation Texas has suffered from Hurricane Harvey, a new law aimed at discouraging weather-related lawsuits has gotten extra attention. While House Bill 1774 — which takes effect Friday — doesn’t impact the claims process, it does institute new provisions related to when a claimant files suit against an insurance company. Those provisions would decrease the chances that insurance companies would have to pay the plaintiff’s attorneys fees in full and protect insurance agents from being personally sued. The law also changes the penalty interest rate insurance companies face for late payments if the policyholder files a lawsuit. The Texas Tribune spoke to Stephanie Goodman, deputy commissioner for public affairs for the Texas Department of Insurance, about what Harvey victims need to know before the new Texas law takes effect. The following is an edited and condensed version of the interview. How do you know if you're impacted by HB 1774? There’s a fear among some consumers that there’s a deadline they have to meet for filing a claim. HB 1774 doesn’t change how people file a claim or when they need to file. It doesn’t affect those timelines, who they contact or how long they have to submit a claim. That all remains unchanged. HB 1774 only affects you if you’re going to file a lawsuit, which would happen if you can’t reach an agreement with your insurer. Our goal is to always make sure that the claims process goes as smooth as possible for the consumer so they’re paid fairly and as quickly as possible. If you suffered property damage because of Harvey, how do you file an insurance claim if you have no access to electronics? I can assure you that we’ve heard from insurers multiple times a day who say they’re ready to move into those [flood-affected] areas so that they can assist people in person. It may be a little longer before we can get into those most-affected flood areas, but there will be in-person help for people. Some insurers are also going to where large shelters are set up. I think one of the things for these victims to remember is that they may have to notify multiple insurers. That’s because homeowners policies don’t cover floods — you need a separate policy for that. And homeowners along the coast have windstorm polices for wind and hail damage. Are certain types of damages covered under the bill? The bill is not about damages, but there are certain policies that are exempt from the law and certain policies that it applies to. The law only applies to basic homeowner’s policies, but it doesn’t apply to claims that you would file with your windstorm policy or your flood policy. A standard homeowner’s policy generally doesn’t cover flood damage, so if you’re in a floodplain or a flood-prone area, you would need a separate flood policy to cover that. You may have homeowners in these areas who are filing multiple claims with their different policies. Is flooding often covered in homeowner’s policies? If not, how will that affect most Harvey victims? A standard homeowner’s policy generally doesn’t cover flooding. You’d have to have separate policies for floods and windstorms. The cover page of your insurance policy should list the coverages. If you have a mortgage and you’re in a flood zone, they’re going to require that flood coverage. However, with Harvey, there’s going to be a lot of people that have flood damage who are not in a flood zone. That is one of the concerns about Harvey. When you have widespread flood damage, we often have people who didn’t have flood coverage. That’s where other resources like the Federal Emergency Management Agency’s assistance comes in — which helps with uninsured losses. FEMA will offer assistance to people in areas that were covered by the federal disaster declaration. In addition, the Small Business Administration can provide loans, even to individuals who were affected by the disaster. I’m sure that as the cleanup and recovery period progresses, we will learn that there are more resources available to the victims of Harvey, but that is certainly a big concern. How do Texans officially file a claim? It’s really as simple as calling your agent or insurance company. A lot of them are going to set up special numbers or websites just for this disaster to make sure they can expedite those claims. We always encourage people to follow up in writing as quickly as they can. If you don’t have access to those electronic resources right now, you’ll have recovery centers set up in your community soon and you’ll be able to file your claims in person. In addition, it’s always advisable to call and notify your agent even if you don’t have a full assessment of your damage yet. One of the things we know — especially about people evacuating from a flood — is that you don’t necessarily have time to grab a copy of your policy, especially as the waters are rising. If people don’t have a copy of that policy, we encourage them to call our help line at 800-252-3439 so we can help them locate the contact information for their agent. One of the things that many homeowner’s policies have is coverage for expenses that you may have accumulated because you had to evacuate. If you’re in an area where an evacuation was ordered and you’re now in a hotel, most homeowner’s insurances will have policies to help you get reimbursed. In general, what should flood victims know? When you make a call to your insurance company, it’s really great to document that and make a note of it in your phone. One of the great things about phones is that it’s easy to take pictures and videos, so you can certainly document damage. If you can be there when the adjustor is there, that’s great, but we know that may be harder for people in a flood situation. It’s really just about keeping close contact with your insurer and your agent. The most important thing is that there’s such a tremendous outpouring of support from all of Texas. We have daily calls from insurers around the state, and they are so anxious to get in and provide direct help. There’s a lot of resources available to [flood victims]. The most important thing is for these victims is to look at the types of policies you have — potentially homeowner’s, flood and a windstorm policy — and notify all your agents. Which part of the claim is paid by which policy will be sorted out later, but make those notifications promptly. Victims shouldn’t feel rushed, but we always encourage people to make those notifications promptly.